Michaela spent the afternoon at the printers today and after some discussion, a test strip and an hour in the sunshine our French & Godbold commission print is complete. The image has been printed onto Hahnemuhle German Etching paper, a beautifully soft 310gsm stock, slightly textured with a velvet finish. 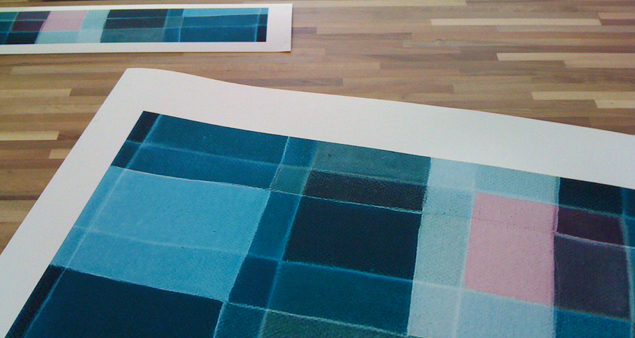 The final print is very satisfying, with intense deep colour and a soft warmth. What a pleasure to be making prints again, I had pleasing flash-backs to days in the etching studio at Art School. The print is now queued for framing so more updates soon…. This entry was posted in French & Godbold and tagged Art, commission, digital print. Bookmark the permalink.